LONGMONT - Rocco (Rocky) Palombo, 76, passed away Friday, October 12, 2018 in Longmont, Colorado with his family by his side, after a long battle with illness. He was born in Commerce City, Colorado on August 16, 1942 and was adopted by Frank and Nellie Palombo. He graduated from Mead High School and his family was active in the farming community. Rocco was united in marriage to Leona Church on October 4, 1974. They made their home in Longmont, Colorado where they raised their family and cared for many foster children. In the early years, Rocco’s family owned a dairy farm, he built homes in Southmoor Park and worked for Holmes Tire. He later started a career as a Semi Driver for UPS. He worked there for 25 years and retired in 2003. He enjoyed teaching the 2 year old Sunday school class and volunteered each year to install the Christmas lights for the Christmas Celebration at Life Bridge Christian Church. He loved music, cars and sporting events. Rocco had a special love for pets and shared that love with his wife and children. He is survived by his wife Leona Palombo, Longmont, CO, his daughter Tamara Palombo, Longmont, CO, his sons Brian Palombo, Longmont, CO and Darren Palombo, Berthoud, CO, his sister in law Barbara (Bill) Shumway, Las Vegas, NV. He is also survived by his nieces and nephew. Rocco was preceded in death by his parents, his sister Francie Graham and daughter Angela. 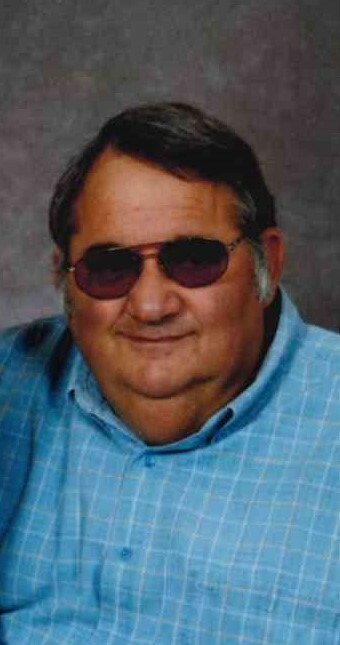 Visitation is scheduled for Wednesday, October 17th from 4:00 to 6:00 at Carroll-Lewellen Funeral Home. A celebration of life will be held on Thursday, October 18th, 2:00 PM at Life Bridge Christian Church in Longmont, CO. Burial will follow at Foothills Memorial Gardens. In lieu of flowers the family asks that memorial gifts be made in Rocco’s memory to the Longmont Humane Society, 9595 Nelson Road, Longmont, CO 80501 or a charity of your choice.